Tucked away down a sleepy country lane, Cwm Ty Coed (meaning Wood House Valley) can be found in one of Carmarthenshire’s more secluded pockets just off the A48. 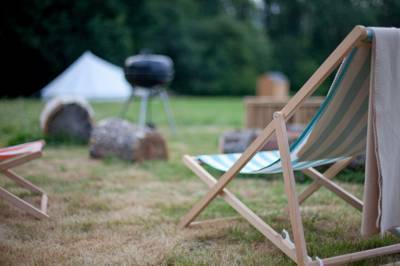 Once found, you'll be entranced by the panoramic views of rolling countryside and magical woodlands at this charming 30 acre smallholding. It's little wonder they call Carmarthen 'The Garden of Wales'. First up; accommodation. 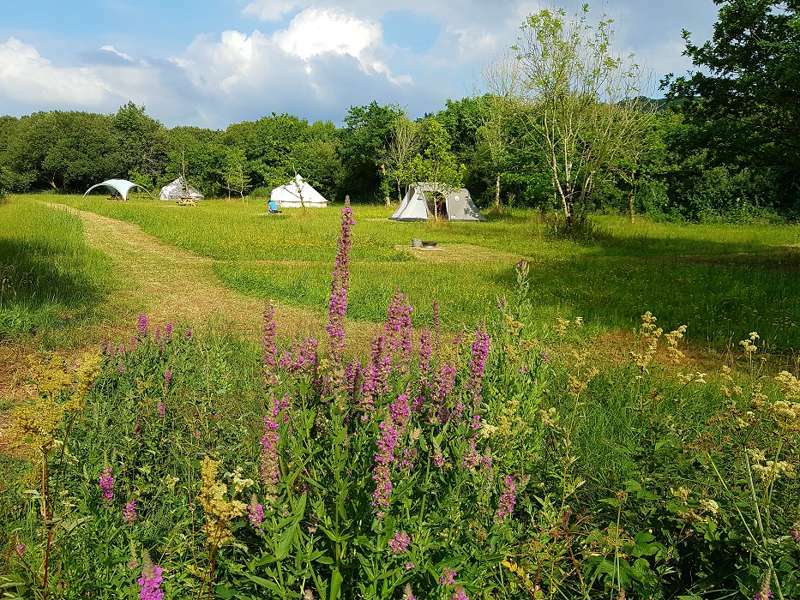 The adjectives ‘cosy’, ‘warm’ and ‘comfortable’ fail to do justice to the ambience of the site's eight pitches (two tipis, five bell tents and a yurt) Guests will feel like the proverbial cat that got the cream among wooden floors, large beds, candle lanterns and a private kitchen. 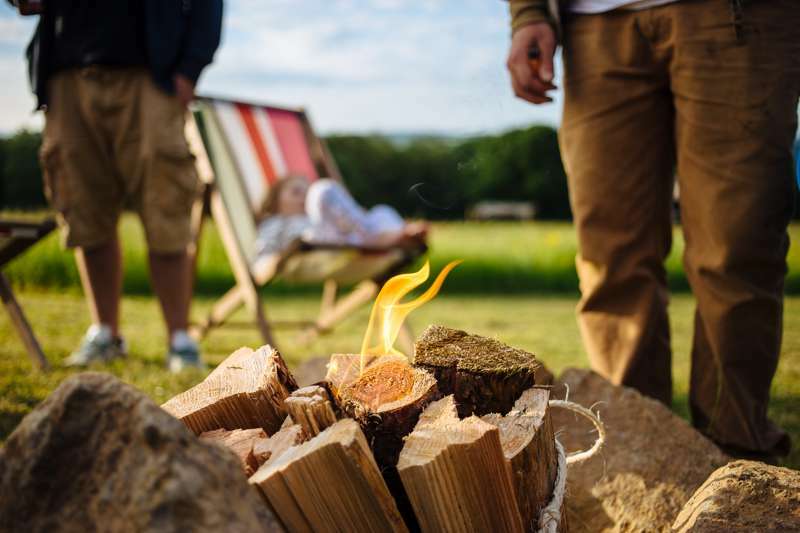 Outside, there’s your very own fire-pit, log seating area and barbecue, the perfect setting to cook that tasty West Wales produce. Don’t forget to pack your boots/trainers/flip-flops (dependent on the terrain) as the nearby hills and coastline offer hours of pedestrian exploration. 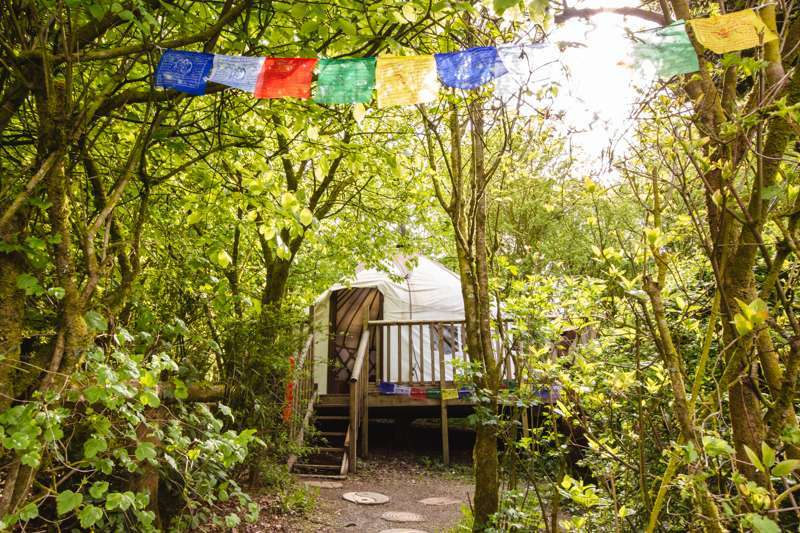 Pembrey Country Park, with miles of deserted sandy beach can be reached within fifteen minutes by car, and to the east, the breathtaking bays and subterranean coves of Gower are just waiting to be discovered. Boasting twelve castles, Carmarthen is steeped in history. It's believed to be the oldest town in Wales and the birth place of everyone's favourite Arthurian wizard, Merlin. More recent history could draw you to the picturesque village of Laugharne and Dylan Thomas’ boat house with its evocative views across the Three Rivers estuary. 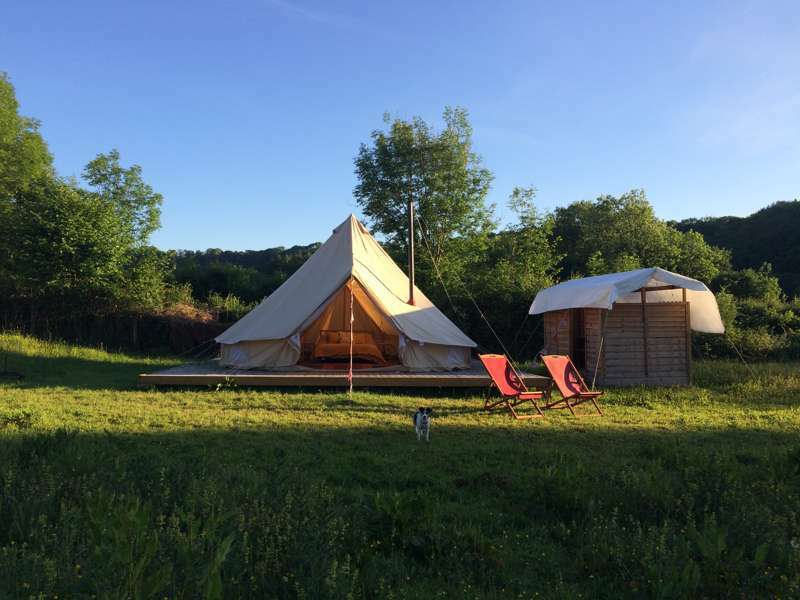 Back at Cwm Ty Coed, ever-friendly owners Jon & Sarah not only want guests to enjoy the creature comforts of five star glamping, but to also experience a taste of traditional, rural camping; encouraging sing-a-longs by roaring campfires and magical nights spent gazing up at the starry Welsh skies. Take shelter in the wood cabin. 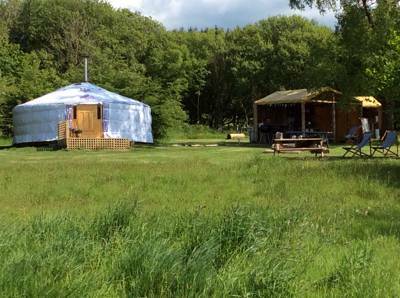 Nestled amongst the trees, it comes well stocked with books and board games. Mid-March – end of September. 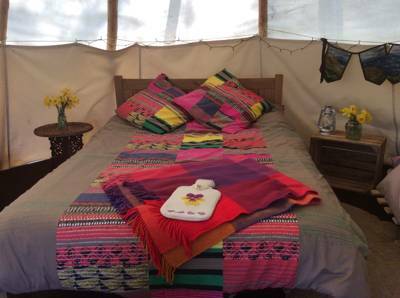 Tipi £80/90 per night (low/high season). 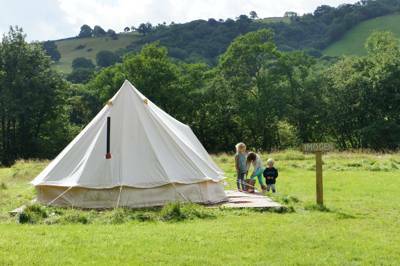 Bell tents £70/£80. 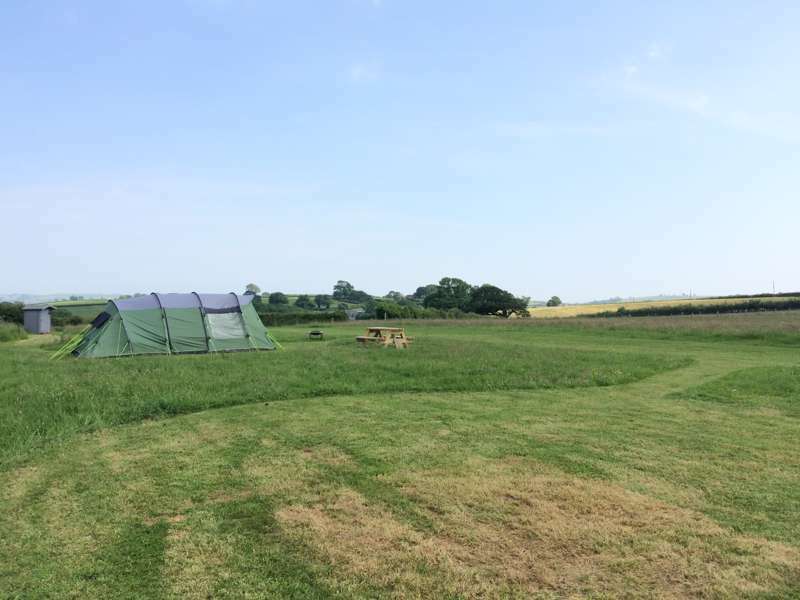 Extra pup tent (provided) £10 per night. 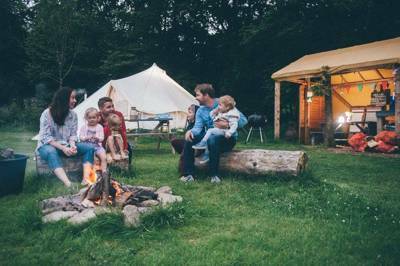 Discounts available for weekly stays.